Welcome Matt. There are a fair amount of us Yakfishers in the KW area. Keep an eye on the hook-up section next spring for outings nearby. I'd invite you out with us tomorrow except it's going to be more of a recon outing of unknown launches in London. Welcome Matt! You’ll see a few of the guys who organize tournaments in Ontario post here. Hey all! Matt the Pond Guy here from Kitchener Waterloo... Thanks for introducing me to this site Brian. I'm stoked! Right on! Glad to have finally found a local Yak fishing group. I've been a kayak nerd for over 3 years now, having wetdreams about Hobie Mirage drives and Old town PDLs... Someday I will upgrade from my Pelican catch 120 to something much better, but I have it rigged out pretty cozy. Hey, Dave! Thank you for the welcome. Having hard time finding my post here. 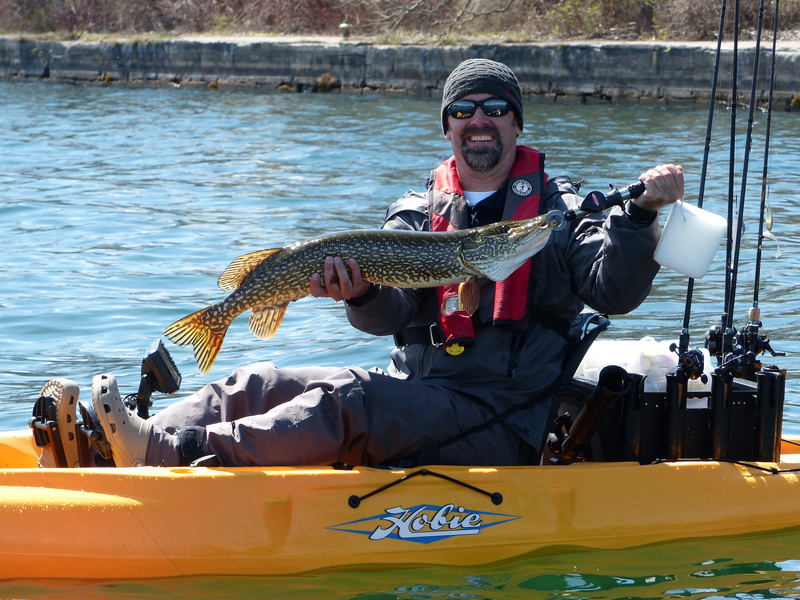 Currently here in GA and we will be visiting my in-laws in Ontario for a month and thought to have fun with kayak fishing there. Welcome aboard! Where are you located? Welcome Jett! Where in SW Ontario? I've spent the last several years chasing rainbows in and around Kelowna BC, but economics being what it is, I now find myself in SW Ontario... Momma bear allowed me to bust into the saving account on my 50th and I picked up an entry level yak and a few accessories as a result... Now, I'm going to be exploring my new playground as well as a new species (bass) on my new boat... Its a whole new world!! !